The GFS weather forecasting model run is still holding on for a very strong system over much of the Gulf between 23rd to 30th of November. We will Keep updating this system in the coming few days to track it’s intensity and accuracy. For now we can maintain that it must be under watch. 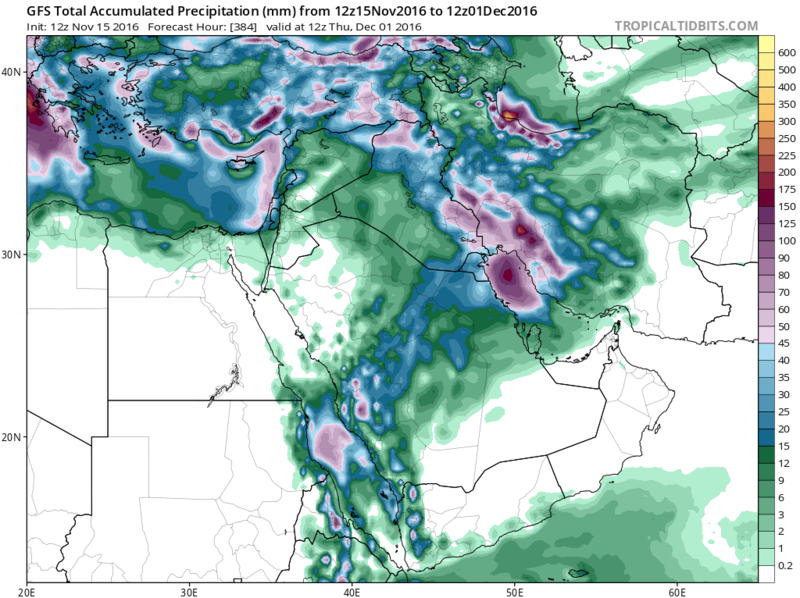 Current models predicting very heavy rain over Kuwait running down the east coast of Saudi Arabia towards Bahrain and Qatar. If the predictions hold, we can expect flood like conditions. Accumulated precipitation as seen in the attached for that period.